Rise and shine! I appreciate your visit to English Plus blog! Today, I'd like to write about a piece of advice for English learners. When you hear "communicating in English", you may be able to imagine a wide variety of situations. For instance, talking on the phone, check-in at the airport, and so on. There are a lot of situations we can think about, and to make this communication more successful, one of the most important communication skills is "listening." If you don't catch what another person says or understand what he/she means, it's difficult to make communication. If you want to communicate in English more smoothly, "improving listening skills" is the first thing you have to do. So, today I'd like to write about one of the five tips about how to improve listening skills. The fourth one is "Let's use movies for listening training." It's important to sit at the desk and use a textbook to do listening training. However, you can make listening training more fun with watching movies and YouTube (e.g. talk show). Watching movies can be as effective as doing self-training for listening. When you use movies for listening training, you can see Japanese subtitle so that you can understand the contents of the story. The next time you see the same movie, please try English subtitle instead of Japanese one. If you see English subtitle, you can realize what vocabulary or expressions they use. If you have one more chance to see the same movie, you should try it without any subtitle and focus on listening. It might take long time to watch a full movie, so I recommend you choose your favorite scene whose length is about 10 minutes. If you choose the scene, try to watch it 3 times with the method above. This may help you improve your listening skills. I know you are busy every day, but try listening training regularly! At English Plus, we give some advice on how to improve English skills. 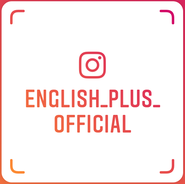 For more information about English Plus, please visit English Plus Official Website. 今日の英語でのひとこと："Let's enjoy learning English all the time!" If you click this, it means you "cheer me up" in the ranking. 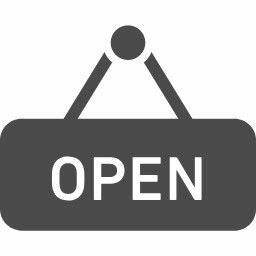 Thank you for your cooperation!! Copyright:© 2018 English Plus All Rights Reserved.